As I mentioned in a previous post, I’ve been a wee bit injured of late. Sadly, this has led to less riding than I would have hoped for over the summer months. And when I did get back on the bike, I wasn’t able to push myself as hard as I normally would. To help with the healing process, I decided not to turn on Strava for my first few post-injury rides. You might question what Strava has to do with the healing process, but in my mind it’s simple: when I use Strava I put extra, often subconscious, pressure on myself to ride ‘better’ than I did last time. And by better, naturally I mean faster, despite that not really being my style! While I’m not a competitive person when it comes to comparing my performance with other people, I absolutely am competitive with myself. Or maybe it’s more that I’m judgemental of myself. Either way, that extra pressure was something I could do without when I was attempting my first tentative pedal strokes and careful descents over rocks and roots. The last thing I wanted was to go out too hard, fall off and put myself back at square one. So on my first mountain bike ride after a couple of months off, I didn’t take out my phone and press the little orange square that, to me, symbolises competition and judgement. Instead I tucked my phone away, laced up my shoes and just started riding. And you know what? I blooming loved it! 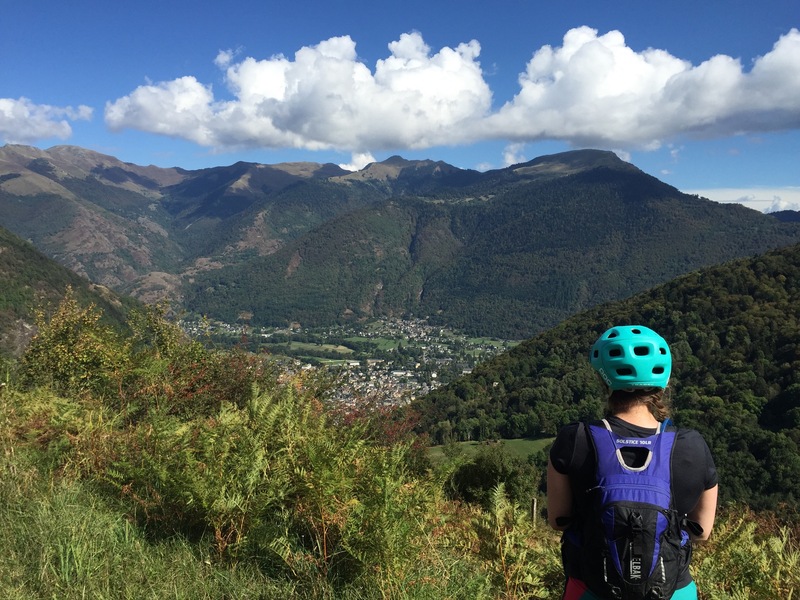 I loved enjoying the ride for what it was – an opportunity to be out in the fresh air, working my body (not too hard, I promise!) and really seeing this wonderful planet that we live on. And when I got home, I didn’t rush to take a look at the stats on my phone, but simply hopped in the shower and enjoyed the feeling of the warm water soothing my aching muscles. It was a revelation! There was no post-ride analysis, no wishing that I had just put a little bit more effort in on that climb, or taken a better line in that corner. There was just the beautiful happiness that comes from knowing I’d enjoyed a brilliant ride. So, for now at least, I have decided to delete the app from my phone and to just get out there and ride. I am not a racer, it doesn’t matter how fast or slow I ride, I just want to be on my bike, enjoying the rush of endorphins each and every ride gives me. I used to have an odometre on my bike and it made me obsess with my speed. When it broke I had the exact same feeling as you describe. It was a revelation not to worry about speed and numbers. I have not bought any new odometre or anything like that since and I probably never will. There is more freedom and enjoyment to be had when you are just riding rather than racing (unless racing is something you love obviously).